After a pretty busy and tiring weekend working on the baby's room, Mommy and Daddy thought some "relaxing" time by the pool was in order. No, Mommy did not get in the pool this time and probably will not until after Baby Mattie arrives, but she enjoyed soaking her feet in the cool water. The pool water was actually still a little chilly, but it was a very warm day outside. 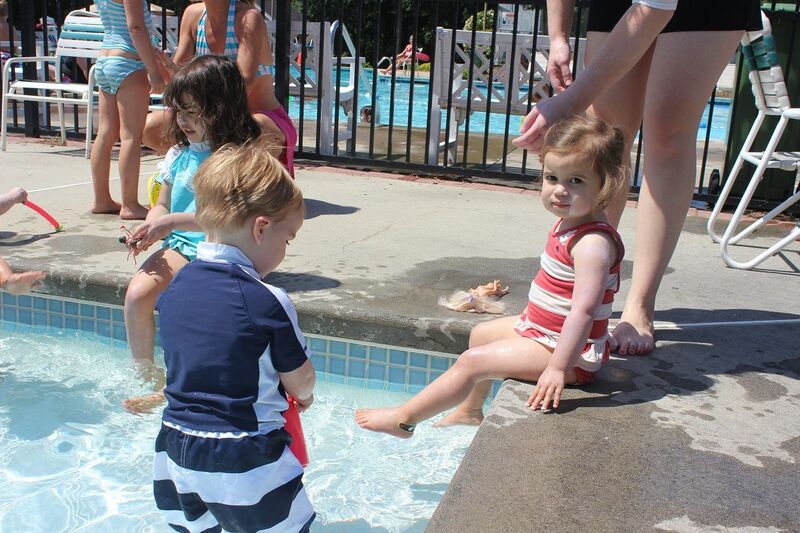 Brody enjoyed playing with some school friends in the baby pool, and Evan met up with some buddies in the big pool. After a lunch of hotdogs and hamburgers on the grill, Brody enjoyed napping with Mommy in the shade. 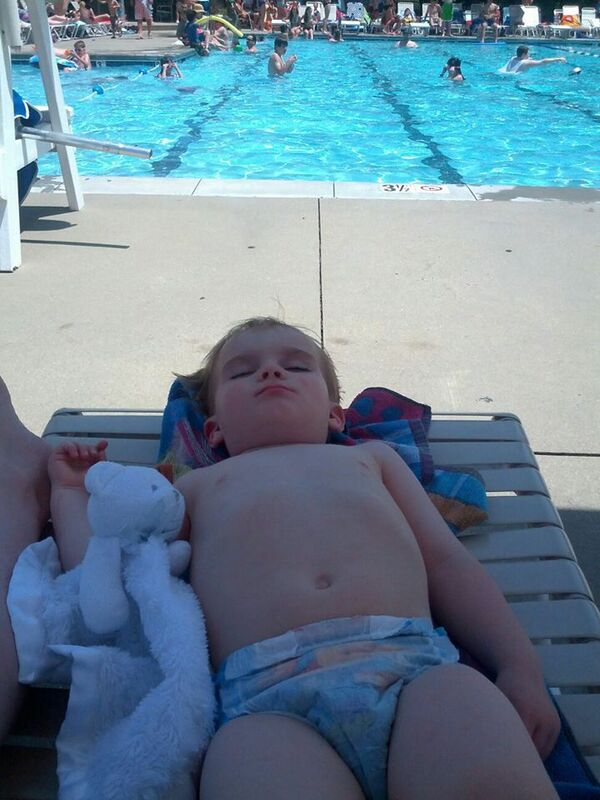 What could be better than a nap by the pool? Brody enjoyed the water in the little pool. It was so cute to see him standing up and walking around in it because last year he was barely walking and had to be more carefully supervised. Brody playing with his little girlfriend, Sierra, from school. He found a bucket so he's content. Brody and his school friend, William, playing together. Well, William tried to play with Brody. 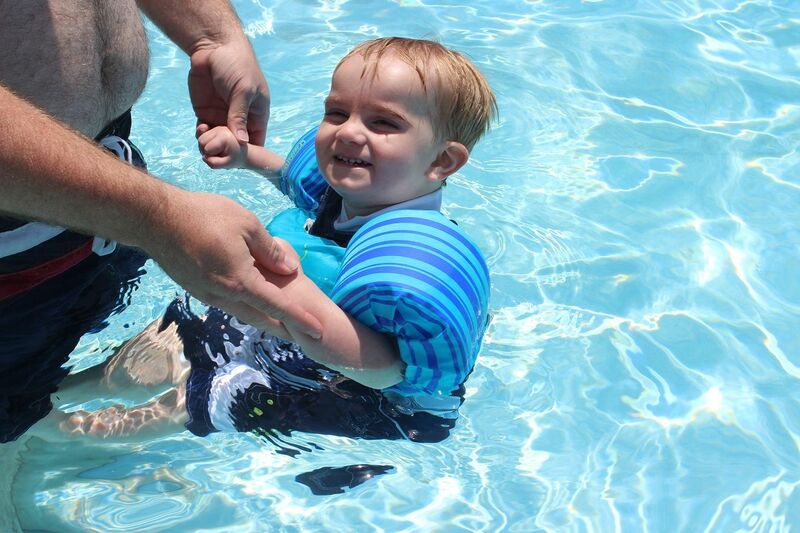 Brody especially enjoyed playing with Daddy in the big pool. 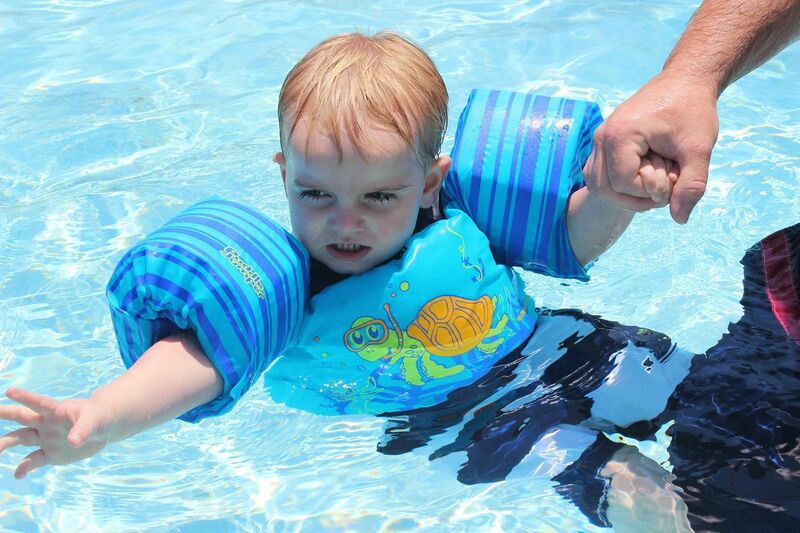 Evan insist on still using his arm floats. 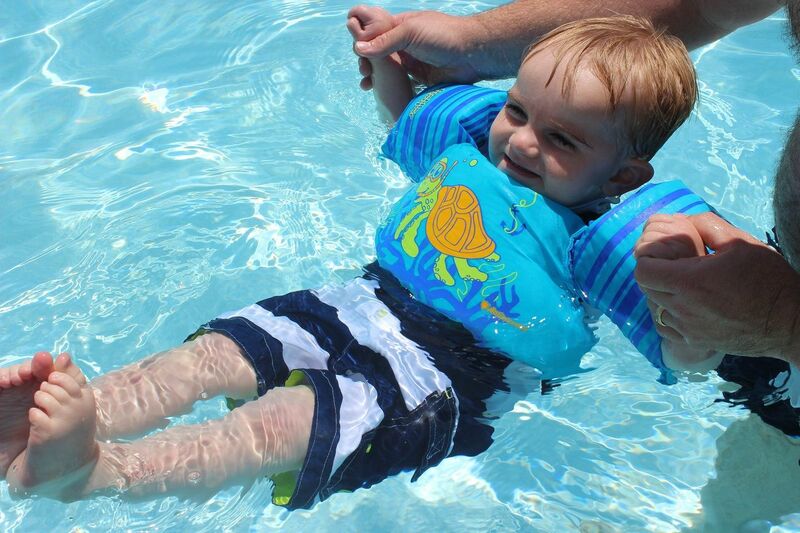 Hopefully after swim lessons this month, he'll get the confidence he needs. This one prefers floating on his back. Sweet silly boy. 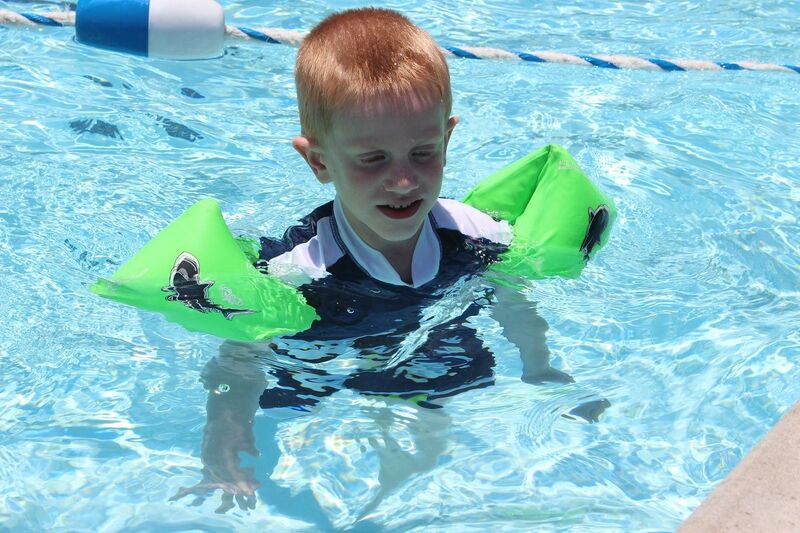 I tried to make him take the arm bands off in the shallow end, but when I removed them, he just got out. I think this one wanted to get out and get warmed up. That water was cold! Enjoying his nice nap in the shade. Sounds like a lot of fun. We haven't had our first swim of the summer yet. I love the picture of Brody napping. Adorable!!! 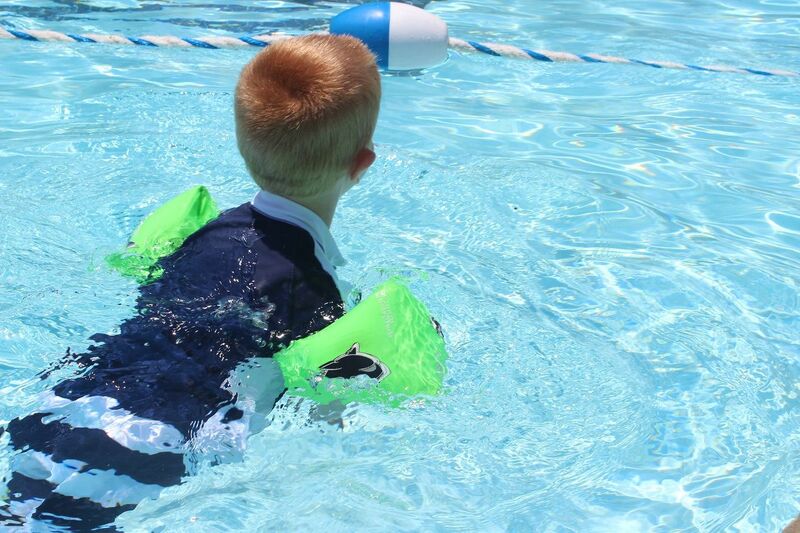 it's so much fun at the pool with kids - love these pics!! 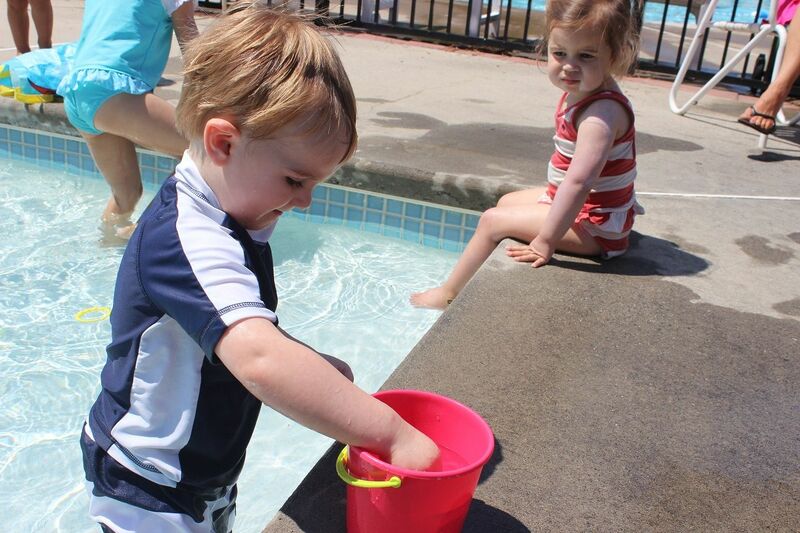 We started going in the pool the first week of May. 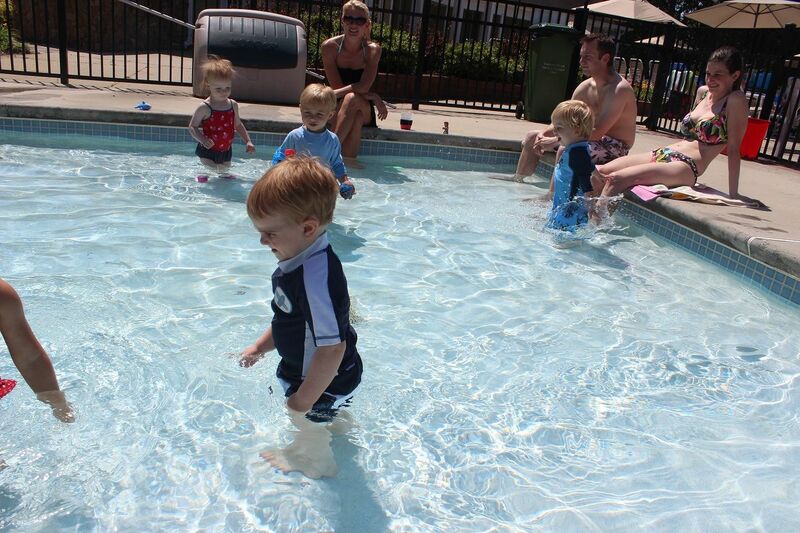 It took about 3 days and Spencer became an olympic class swimmer. He's jumping off the diving board and swimming the length of the pool on his own. It is amazing. 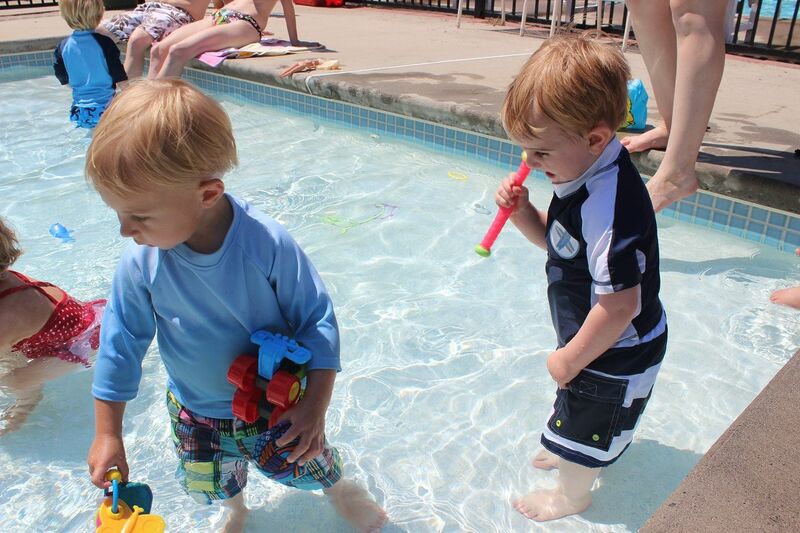 So, what I'm trying to say is you need to tell Eddie that you need to get your own pool so that Evan can be brave! P.S. Brody sleeping by the pool is amazing. I can't imagine either of my kids being able to sleep outside by the pool.